Why does everyone move house when they are pregnant? Uprooting and moving to a new country, away from all your support systems seems like a daft idea yet that seems to be a surprisingly common situation to find yourself in on arriving in Luxembourg; bun in the oven, new country, new languages, new health system and a lot to discover about having a baby here. Another common situation would be the so called “accompanying spouse” who realizes that working here may be tricky, and decides to start a family instead. “Luxembourg is a wonderful place to raise children” was a very common refrain I heard when we arrived (with 4 children under the age of 6). I was not inclined to agree initially; no online supermarket shopping (at the time), no twin trolleys in the supermarket, no part-time nursery places and a shortage of available nannies. But after a while I could see the appeal; the friendliness of Luxembourg, the playgrounds and swimming pools which are wonderful, the hospitals which are clean and modern, and the government who throws money at you if you offer to help increase the population of the country. 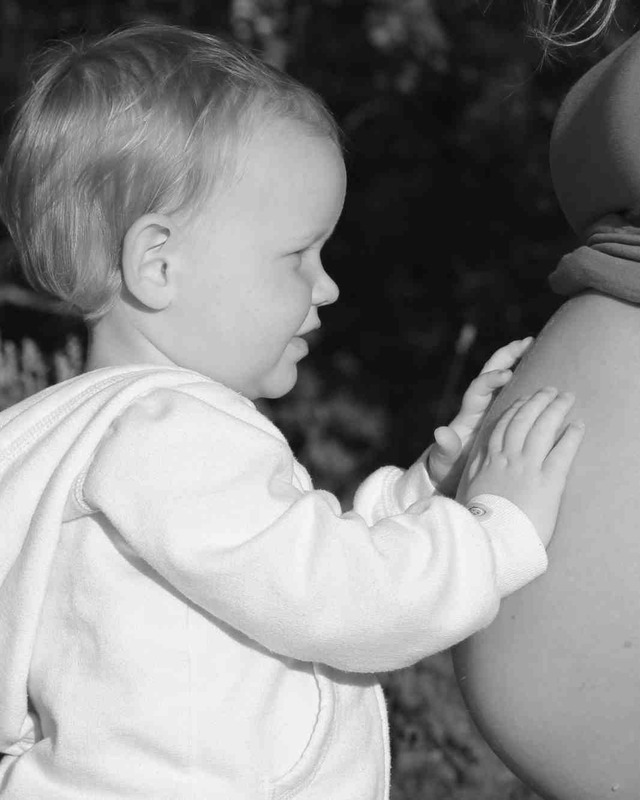 So what should you do if you are newly pregnant or newly arrived and pregnant? Well, the first thing to do would be to find yourself a gynaecologist. It is pretty important that you find somebody that you like, as this is the person who will see you for every antenatal appointment and usually deliver your baby as well. So the continuity of care here is amazing, and only dreamt of in some other countries. But how do you go about choosing somebody? Perhaps one idea is to sit down with your partner and think about whether you have any clear ideas at this stage of how you want pregnancy or childbirth to be. Many women would say that they have no idea and will take things as they come, especially if this is their first baby. Others have quite strong feelings about wanting to do things naturally if possible, with minimum medical intervention, and others would like to have the epidural in place from 36 weeks onwards and the planned caesarian in the diary. So do your research; ask your female friends, speak to your family doctor, and find out all you can before you make a decision. There are lots of fantastic doctors here, but for women coming from countries where maternity care is midwife led or where there is a big push for natural childbirth, the system can seem very medicalised and interventional. The caesarian section rate has increased in Luxembourg from 17% of deliveries in 1997 to nearly 30% of deliveries in 2009. This trend has been seen worldwide, but Luxembourg is above the average caesarian rate of around 26%.There are also one or two rather old-fashioned gynaecologists who don’t like to be questioned and will insist on a woman delivering on her back with her legs in stirrups. So if this is not for you, you need to ask the right questions. Whilst researching this article I came across a new website, http://www.gynecologie.lu, which lists the gynaecologists practicing in Luxembourg and has space for patients to rate them and write comments. This could be a very useful resource for women, although I could find little about childbirth experiences there. There were however comments about the doctors’ manner and how much confidence they inspired, both of which are vitally important in the person who will deliver your baby. If you are very organized, you might have visited a gynaecologist before you got pregnant to see what you thought of their bedside manner; but forward planning would be key here, as for a routine appointment when you are not pregnant many of them have a wait of several months. Each gynaecologist will be either working from, or attached to one of the maternity units, of which there are 4 in Luxembourg: The Maternité, the Clinique Bohler, the Centre Hospitalier du Nord in Ettelbruck or the Hospitalier Emile Mayrisch in Esch-sur-Alzette. Certainly in Luxembourg city, the 2 units have different atmospheres and different strengths, and their geographical position may have a bearing on where you would like to deliver. Home deliveries are not encouraged here, and I am not aware of a gynaecologist who actually supports them, so bear in mind which hospital you will deliver in when choosing your gynaecologist. The Well Baby Clinic of Luxembourg was set up to help English-speaking women having babies here and alongside their antenatal classes and hospital visits, they also offer a Mums, Bumps and Babies Group where pregnant women can go and have a coffee and a chat with other pregnant women, new Mums and the team of the Well Baby Clinic who have many years of Luxembourg experience to share. Sometimes having too much choice makes life difficult, but I think that being able to choose your gynaecologist is a great opportunity to get somebody that you like and trust. Most women discover fairly soon after that first missed period that they are pregnant, so if you haven’t already made a decision, take a week or two to do your research and choose wisely. Expecting my baby end of may 2013, had to change Obstetrician twice at the E Bohler Clinique, customer service is zero!!!!! Kept waiting over an hour with no apology. I feel treated as though they don’t care it’s all about the money which they are happy to take off you! Please don’t use the lab at the hospital go to ketterhill instead where there is still some customer service, in my experience there were 4 women at reception chatting and completely ignored us standing there for 15mins untill their conversation was finished. Very disappointed for a private clinique. Hey D! This is unfortunately my experience with most Dr in Luxembourg. My current Gynaecologist ALWAYS for gets to call me back to give me any results. I always end up asking her in the next visit and only then she realises there was an positive result for an infection, or a deficiency in the blood tests. I never get any extra info in anything. I feel like I have to ask everything, but they quickly get tired and send me off. Did you find any professional Gynacologist? couldn’t agree more when it comes to Bohler. They don’t pay attention to you as the client, waiting is endless every single time, doctor is looking through you not at you, since she has other 50 patients for that day. Bohler lab is so expensive, they fooled me just once.